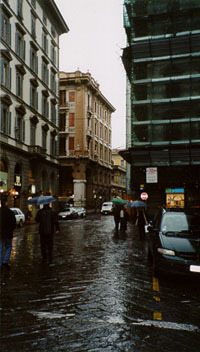 Irith in the Piazza della Repubblica. 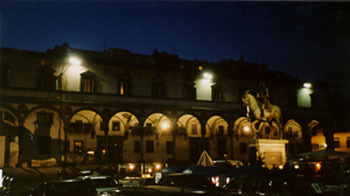 A piazza in Firenze at night. This piazza has many street vendors and Aaron bought an inexpensive but interesting pocket watch here that commemorates the founding of America (made in Russia, of course). 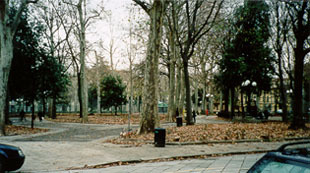 A park in Firenze that we liked a lot. 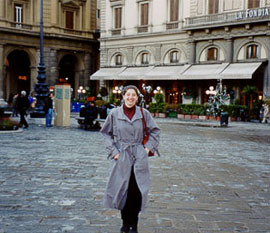 We thought of it as the Rittenhouse Square of Firenze. 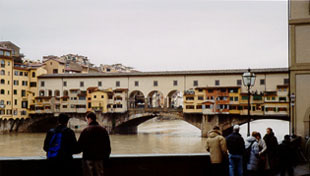 Another street scene in Firenze. 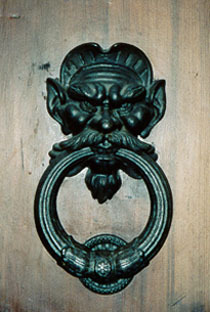 This is a door knocker for a door not too far from our hotel. Just about everything in Firenze is a work of art. 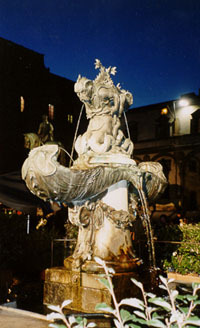 This fountain is not famous (in other words, you won't find it in any tour guides) but the artistry is amazing.